Our forum members didn’t waste time choosing their favorites. “Reese and Nicole might just be my favorite because we rarely see them in this relaxed but sultry light. 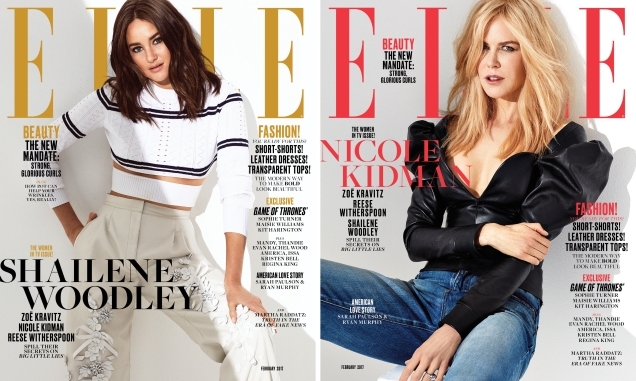 US ELLE does actresses justice again,” dodencebt pointed out straight away. “Nicole’s got the best one, IMO. It’s that effortless vibe with the top paired with denim. Also, she looks great. I’m actually rather fond of Shailene because she’s a tremendous actress, but she’s very tricky to photograph. Styling should be kept simple with her, in this case it’s too overbearing,” wrote Benn98. “Well the HBO press team did well. The entire cast of Big Little Lies? 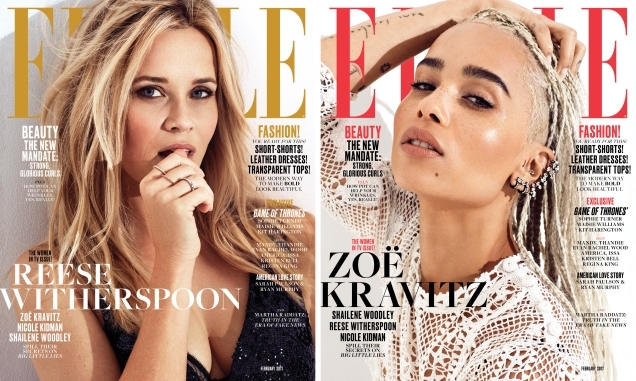 I love Reese’s cover, I just wish she wasn’t biting her thumb and it was a clearer sultry head shot,” honeycombchild shared. Which cover do you think outshines the rest — if any? Share your opinion with us here.